Just to let you know, I'm going to have a rather loose definition of Fort Worth in this particular blog post. This is a collection of the fun and awesome places we went and things we saw and ate while we were staying in Fort Worth area. Once upon a time, I lived just outside the city for several months, and then I ended up marrying a guy whose family lives near the city as well, so somehow, this part of Texas is always going to play a role in my life! Once inside, you get to tour a glassed-in catwalk around the ceiling of the factory floor, and listen to phones that tell you all about the different machines and the process of printing U.S. currency. This is an active factory, and the workers on the floor were quite friendly and engaging, holding up sheets with 100 dollar bills printed on them and giving us the thumbs up, or pointing out a pallet full of bills ready to be cut and holding up a sign that said, "This is $16 million!" They all seemed to be proud of their work and unusually engaged with visitors who were separated from them by a glassed-in walkway around the ceiling. A small "village" of buildings from days long past preserved in order to give us a taste of what life was like in the past. Most of the homes and buildings are from Texas, and inside several of the homes were historic interpreters who were able to tell you the story of the families who used to live in the homes. The staff at the village were absolutely fantastic, answering all of our curious questions and taking lots of time to chat with us, no one seemed rushed at all. One of the cabins was the former home of the uncle of Cynthia Ann Parker. That was especially fascinating to me because I remember reading about her during my school days. We got to dip candles the old-fashioned way and explored the herb garden and mill house. This village isn't large--about 8-10 buildings to tour, but it was well worth the visit! These are the type of gardens that are so expansive you'll run out of stamina to continue walking in the Texas heat long before you run out of garden to see. Some areas, like the Japanese Garden, are paid entrance only, but there is plenty to see if you just want to wander the rest of the grounds for free. One particular garden was my favorite because while standing above it I felt like a queen surveying the perfectly manicured grounds in front of her palace. Of course, isn't this what most out-of-towners think of when they think of visiting Fort Worth? It really is fun--I've come here every time I've been to Texas and I've even attended a rodeo or two here. This time we wandered the train station area and drove by during a reenactment--plenty of excitement! This one's for when you get hungry. There's always been a line when we've come to eat here--you have two choices, enchiladas or fajitas. We love eating outdoors in the garden area, and the meal never disappoints. Nice place to hang out and enjoy a summer evening while watching the lights and the fountain. In the daytime I believe kids are allowed to walk in the fountain. No pictures since we didn't make it there on this trip, but I have been there before and it is a very impressive zoo! Probably try not to go during the heat of the summer just to make it a little more comfortable for yourself, because it's big and there's plenty of walking if you want to see everything! This one is a new concept for me--a driving range/bowling hybrid. It's a golf driving range, but you accrue differing amounts of points by hitting your golf ball into different targets scattered all over the range. It's really fun even for people like me, who don't have a powerful enough swing to get the ball to get to the end of the range--at least I can aim for the nearer targets. On some games, my score was higher than Angels even though he can hit further! It's all about getting your ball into a target. It was so fun we went twice. You don't need to have your own clubs, you can borrow clubs there, and they do have lefthanded clubs but you have to specially request them (I appreciate their recognition that left-handers exist!). It can be a bit pricey, but you can sign up for emails to get coupons and deals, and combine those with a morning-priced session, and bring your maximum six people to the game, and the per-person cost can be quite low. We're so glad we got to spend lots of time in Texas during our trip and adventure locally with family! 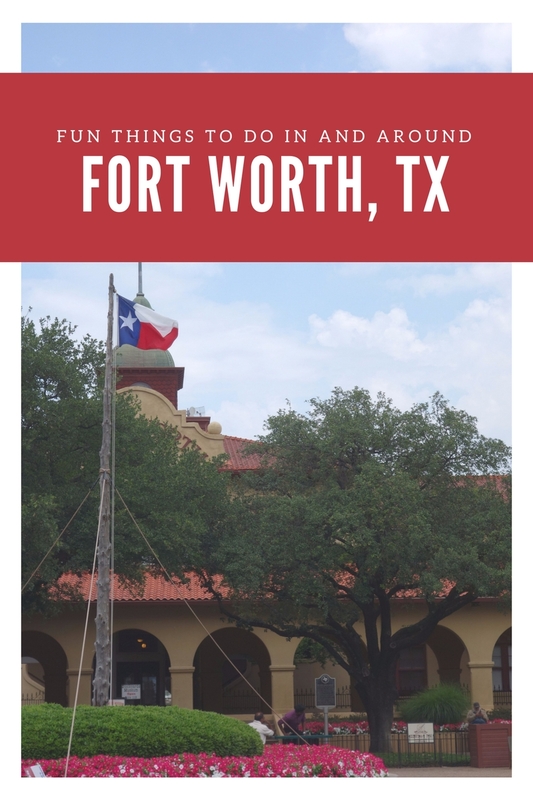 Have you ever been to Fort Worth or to the Dallas area? There's plenty to see and do--this part of the state gets my hearty endorsement! What are you waiting for? Thanks for the recommendations! I've never been to that area, but we're hoping to visit Dallas soon (maybe even next week-any Dallas-specific recommendations?)! B LOVES Fort Worth (his favourite barbecue place Cooper's is there). I honestly haven't spent much time there at all, even though it's relatively close by! The bowling/golf concept sounds kind of fun! Everything else looks like it was great too! I have never been to Texas but I'm hoping to visit all the states someday so maybe I will get there! I've always meant to visit Texas. Hopefully one day. Looks pretty cool! I hope to visit Texas someday! Fort Worth looks like a beautiful city! Top Golf looks like so much fun! Although, I've never played golf before. Also, love the new look of your blog! I've been to the area quite a few times, and it really is a lovely city! There's so much to do! I think we need to try that Top Golf though...THAT looks fun! Fun! Cass was out there for a month, but it was for a class so he didn't really have any time to explore. You have a pretty awesome list here, I'm tempted to sneak out there for a quick trip before we leave New Mexico. We will definitely have to visit the log cabin village! And, of course, the historic old town and city center. So many fun things! I've been to Dallas a lot, but not to Fort Worth as much. And really most of my Dallas time was spent with family at their homes so it's not like we got out and saw much. Looks like a fun place to visit! That garden looks so beautiful and spectacular. Reminds me of Vienna! Looks like Fort Worth is a lot of fun.